I am a terrible housekeeper! I openly admit it. This doesn’t mean I just don’t clean my house, but I don’t do it nearly as well as my husband or as quick. Cleaning isn’t something that comes easy to me & I think it’s partially because I didn’t have to clean up after myself as a child. My mother was a bit of a clean freak and we all learned quickly that if you didn’t do something to her standards she was just going to reclean it, so why bother? We didn’t even clean our own rooms because she’d go through and organize everything, put our clothes away, and even label things so we knew where to find them. When I moved out on my own for the first time, I couldn’t believe how quickly my house became a disaster area. I was going to school, working full-time, and by the time I got home & made something to eat (from a box because this girl didn’t learn how to cook until I had kids), I barely had the energy to take a shower & crawl into bed most nights. On the weekend, I’d spend most of my time cleaning and feeling like I accomplished NOTHING. Over the years, I’ve gotten a lot faster at each chore but I still felt like I was struggling to keep my head above water until I discovered FlyLady.net and read her book. One thing she really pushes is to keep your sink clean and shiny. At first, I thought that was pretty stupid. I mean, my whole house needs cleaned. Why should I waste time SHINING my sink. I did it anyway and was shocked at the difference it made. Walking in to a shining sink every morning made a huge difference. I was able to easily make coffee without having to do the dishes first, which helps wake me up and be less of a grump (if you follow me on Facebook, it's obvious I'm not a morning person) and it had a domino effect. By doing the dishes every night and making sure I woke up to a shiny sink, I was able to slowly keep my entire kitchen clean and organized without struggling. Then it spread to other rooms. Not being stressed about what all needed cleaned in the morning made a huge difference. I had to modify her system, because I am not a fan of shoes (she says to get dressed all the way to your shoes every morning) and because she uses zones to clean her house. I have a pretty large house (2 bedrooms, an office, a media room, a family closet, and a school room plus the typical bathroom, kitchen, dining room, living room, and full basement) and I'm the only adult around to clean 99% of the time since my husband travels for week, so her zones didn't work well for me. In my homemaker's journal, I drew a map of my house and created my own zones from there. Every month I add something new to my daily routine. In case housekeeping doesn't come easy to you either, I've put together some tips that make my life easier. What other tips help you keep your house under control? What great advice! I’m going to have to give this a try! My house definently looks “lived in”! If my kitchen in clean I feel like my house is cleaner. If the kitchen and living room are clean, we have a clean house. 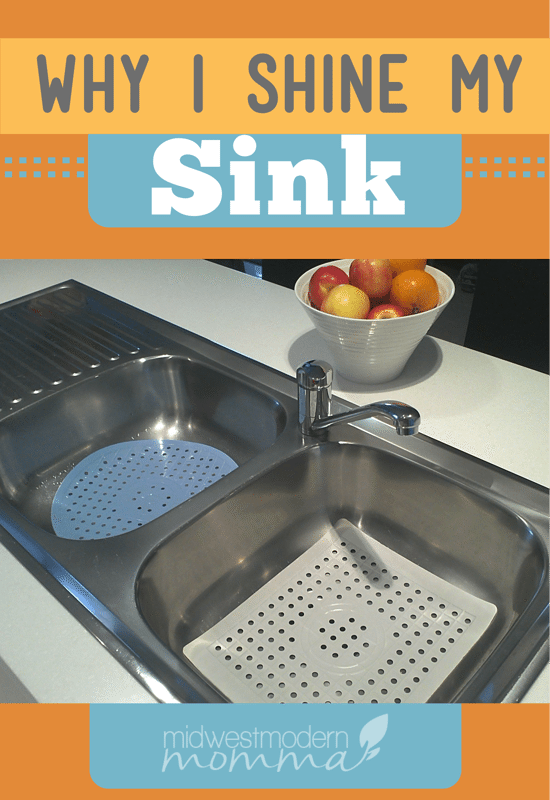 An empty sink is where it starts! Love this! Thanks! I’ll be sharing more tips soon. Did you see my Speed Cleaning Tips? These are great housekeeping tips. I’m definitely keeping them in mind! I’d like to try creating easy-to-follow routines of house cleaning just so i can gradually add them in my daily house routines so i wouldn’t feel like “i have to do this just because” and to have the thinking that “i want to this because i want to”. Motivation is definitely helpful! I find myself much more inclined to complete a task when I have a good reason to do it instead of “because I have to”. Thanks for the tips. Its really help full. I also check the Speed Cleaning Tips? nice idea.